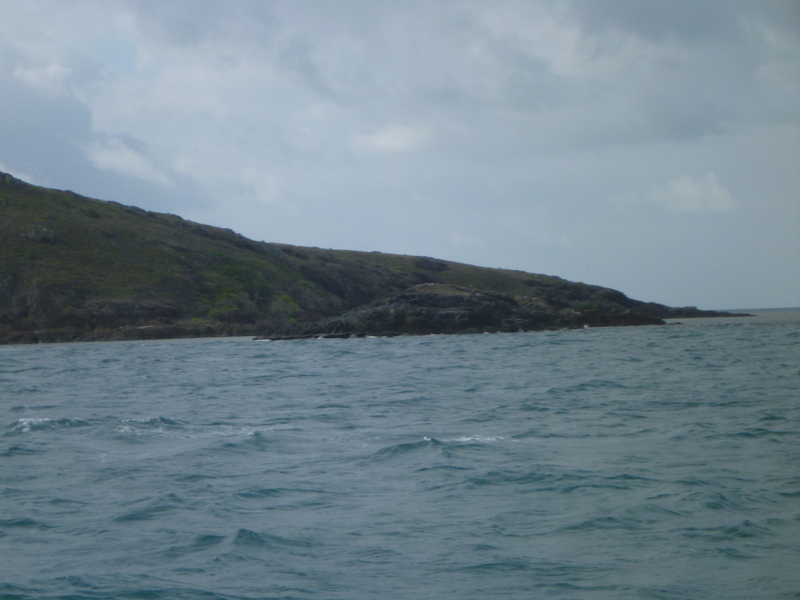 The most northerly point of Australia is a low rocky headland covered in grass and scrub; Cape York. It is for sailors a romantic place from the age of exploration. Captain Cook, the surveyor Matthew Flinders, Joshua Slocum and many other sailing legends have rounded this cape before us. To do it ourselves, Temptress needed a flood tide. Having left our overnight cosy spot in the Escape River around 06:30 we pushed the incoming tide down river waving to some locals in a tinny heading out fishing as we went. beyond they had to remain inshore of of a long sandbank on a course that will take them south towards the aboriginal settlement of Bamaga and into the Gulf of Carpentaria. Our route instead lay west leaving Possession Island to port and thence through the Endeavour Strait on the Australian side of the Torres Straits well south of Thursday Island and appropriately 29 September is a Thursday. The Torres Straits named for Luis Vaez da Torres a Spanish explorer who sailed through waters in 1606, are an eighty or so mile wide island and reef filled gap bounded by Papua New Guinea to the north; with two oceans effectively meeting here the tides are complex and confusing. Temptress has some twelve hours or more of favourable tide to carry her west. 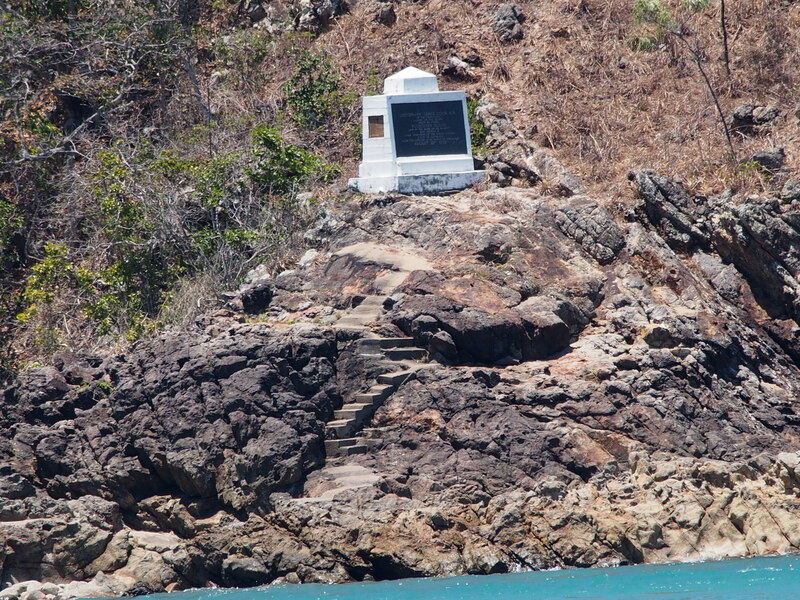 Possession island is where Captain Cook took possession of the east coast of New South Wales (Queensland was once part of NSW) from 38 degrees latitude to ‘this place’ for Britain; a small white monument easily visible from Temptress marks the spot. Sailing through the strait past rocky islands set in calm jade seas under blue skies speckled with mackerel cloud was simply magic. 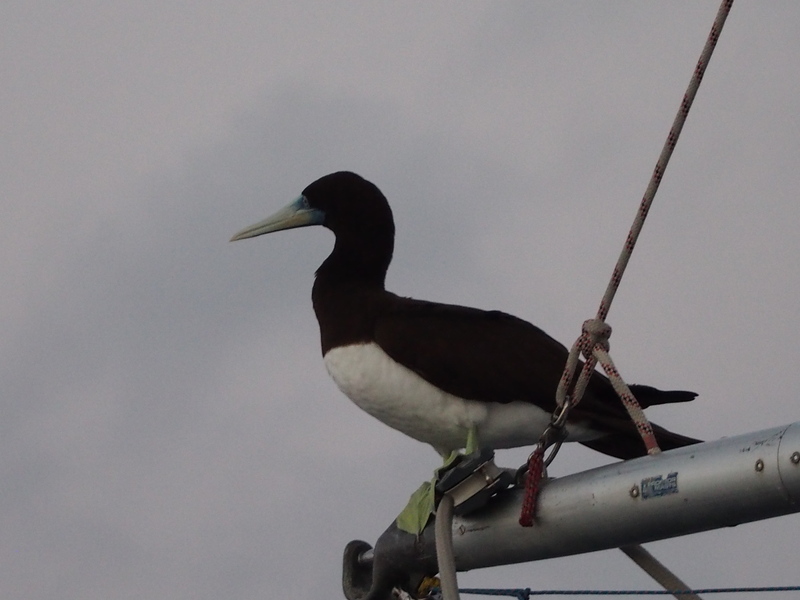 A fitting end to our Pacific voyaging. The sea of Arafura to the north of the huge Gulf of Carpentaria beckons Temptress into the eastern edge of the Indian Ocean and a whole new set of places to sail. Temptress is now some five hundred nautical miles north of Cairns, not yet halfway to Darwin. From the Endeavour Strait it is just over three hundred miles to Cape Wessel on the other side of the gulf. Then from there around New Year Island to the Dundas Strait which will give us access to Van Dieman Gulf and to Darwin beyond is another three hundred. From the north end of the Dundas Strait to Darwin is approximately a hundred more nautical miles. This distance equates to five or more days at sea depending on the winds; with Australia now lying between us and the south east trades passage making across the Arafura Sea can be notoriously slow according to everything we’ve read.